Sequence of washes can be changeable as per requirement. 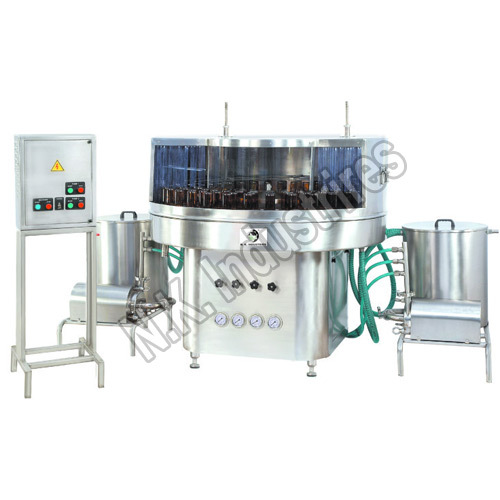 In Rotary bottle washing machine, bottles are loaded on rotating platform and are cleaned in series of operations the bottles are hold in bottles holders that are specially designed to accommodate bottles with varying neck diameter and bottle diameter. The bottles are being placed in an inverted position in these cup shaped holders. Spraying showers does the external cleaning of the bottles. Solenoid valves are provided to enable the regulation of wash timings and sequence of various washing to suit specific requirement.